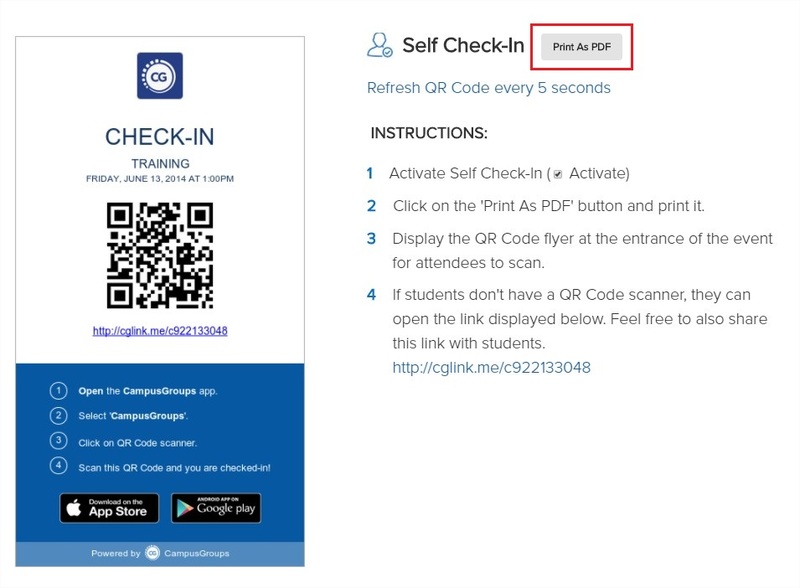 Click on the 'Self Check-in' QR Code icon. 4. Click on the 'Print As PDF' button to download and print the flier. Display the QR Code flyer at the entrance of the event for attendees to scan.